At Board Connector, growth is one of our core values. To assist our members in growing, we believe it is important to share information about leadership programs that equip members with the tools and networks to be successful leaders. Please find below, some of our featured leadership programming. Discover more leadership programs by signing up here. Leadership Chattanooga prepares promising local professionals for prominent business, cultural and political roles through a 10-month leadership development program. More than 1,200 people have graduated from Leadership Chattanooga since the program's inception in 1984. 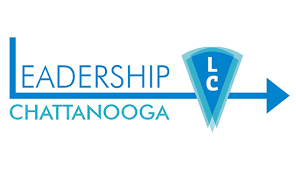 The Leadership Chattanooga Alumni Association (LCAA) offers professional development, networking and leadership opportunities for LC graduates. Tuition for the program is currently $2,500 and partial scholarships and payment plan options are available. Click here for information on the nomination and application process and calendar. Leadership Tennessee fosters collaborative, non-partisan dialogue on issues of state importance connecting a network of diverse leaders and engaged citizens. check out Leadership Tennessee's Mission + Vision + Values. GMF’s flagship leadership development program. Created in 1982 to introduce a new generation of European leaders to the United States, it now prepares leaders from both sides of the Atlantic for transatlantic relations. The program relies on 6 months of distance learning and 24 days of first-hand experience to facilitate knowledge and network development for effective transatlantic engagement. GMF awards 75 Marshall Memorial Fellowships each year to candidates from all sectors, including business, government and civil society. The MMF alumni network numbers more than 2,500 leaders. Their transatlantic engagement continues throughout their careers with GMF alumni projects, seminars, and major events. - Minimum of six years of proven leadership experience with significant accomplishment in business, civil society, politics, or media.